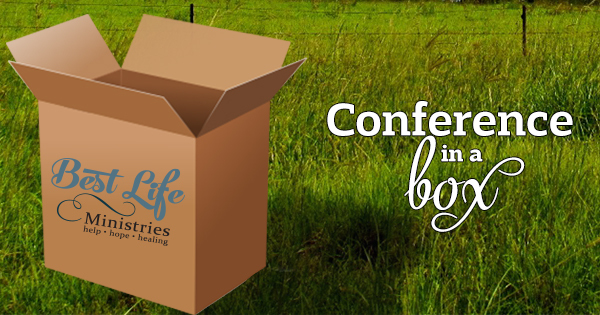 With our Conference in a Box, Best Life Ministries is uniquely set up to bring our women’s conference to you! Please read through the following recommendations on how to prepare for an extraordinary women’s event that will touch the lives of many women. Promotional Kit: posters (we provide 2-11×17, 8- letter sized, 75 half sheet, and 50 tickets. 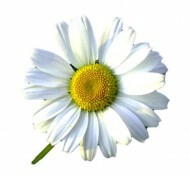 Church is responsible for cost of any needs above what is provided by Best Life. Best Life Ministries Event Team to assist you! 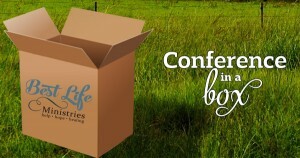 Best Life Ministries will help walk you through hosting and organizing your conference. We will rely on volunteers from your church’s Women’s Ministry to partner with us and help with many of the logistics. There are several volunteer teams, outlined below, each requiring one or two team leaders to manage their team and report to the Planning Team Coordinator. Keep reading for team descriptions, suggestions, and recommendations. The Host Church’s main contact person for the Best Life Ministries Conference. She is to oversee the event and will communicate with Planning Team. The Planning Team Coordinator will schedule all planning meetings and recruit volunteers to help within the teams. Planning team meetings can begin with a time of worship and prayer together. Go over the big picture and any updates, brainstorm together, and then split into your planning teams. Meetings usually last about 1 hour. Team is responsible for event promotion: announcements during church services, publicity to other churches, and general area promotion using supplied posters and marketing materials. Selling tickets: starting 6-8 weeks prior to the event. Team may set up a table at church to sell before and after the services at your church. Find a business or two in your town that will also sell tickets … perhaps a coffee shop or Christian bookstore. Other publicity: women inviting one another, save the date cards, bulletin announcements, DVD promo’s, church website, event calendars, radio spots, community bulletin board, posters, emails and social media. Best Life Ministries will guide your steps with a handy checklist. Team is responsible for decorating and greeting! Some ideas include decorating tables with a simple glass cylinder vase with rocks/candles, flowers in a small vase, simple fabric squares on the tables that match the theme of the conference. Other fun ideas to create a welcoming environment: lotions and candy in the ladies rooms, scripture verses in stalls, candles, or fresh flowers. Warm and friendly greeters to welcome each woman. Two greeters at every door to ensure all women feel included once they enter the building. Registration Tables: Women can sign in and receive Conference Program Folder by showing their ticket or go to a “will call” area to pick up prepaid tickets. Best Life Ministries Team Room: We ask the host church to provide a place for Best Life speakers and musicians to pray and prepare for the conference. Team is responsible for: Planning, purchasing, and preparing food. Setting tables. Setting up for all meals and breaks. Consider the flow of traffic in your facility and how to best handle a large group. One option is to serve women in two separate lunch shifts, with tables reset for each new group. In this case, half the women are dismissed for lunch while the other half enjoy a time of fun and worship. The church has a team (1+ women) who will be responsible for prayer for the entire conference, before, during and afterwards, and will work with Best Life’s Prayer Team. The Prayer Team will communicate with Best Life Ministries Director of Prayer Support, Kathleen Sogge, and her assistant, Deb Treat. The church’s Prayer Team will set up a prayer room and recruit intercessors as well as communicate specific requests throughout the planning and execution of the event. They are to be available to pray with women during the event, and have information ready for individuals who accept Christ as Savior or would like information about attending the church. Team is responsible for all sound equipment set up, microphones, and band needs (when applicable). Sound tech should be available for sound check. It is always best to be safe! Enlist volunteers who are trained in medical emergency procedures, should the need arise.